Camera Specifications: Low Profile - Designed for maximum performance with minimum visual obstruction. Its flat mount design is sleek and minimalist &#822; you'll swear its OE designed. Camera Specifications: Full HD and Wi-Fi Enabled - Record the smallest details with crystal clear, full HD 1080p clarity. Download the free app (iOS/Android) and have easy access to all content currently from the camera on a smartphone or tablet. Camera Specifications: Wide Angle Lens - Relive road trip exploits with a full 170 sweeping, panoramic roads eye view. Youll catch things youre sure to have missed, especially on the periphery. 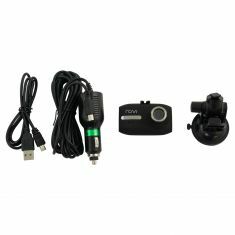 Specifications: Included in the box ROVI Dashcam, Flat Mount, USB Car Charger, USB Power/Data Cable, 8GM MicroSD Card, Quick Start Guide. Camera Specifications: Dual View Screen - Most dual-lens dashcams on the market today utilizes a picture-in-picture viewing mode for the 2 views, making the second cameras view too small to comfortably look at. The split screen of the ROVI Dashcam solves that issue. Camera Specifications: Full HD, Impact Detection and Loop Recording - Record the smallest details with crystal clear, full HD 1080p clarity. Camera Specifications: Dual Lens - The road lies out before you, but what is that racket coming from the back seat? With just a peek, check on a sleeping toddler, or see if the dog is getting a little too familiar with the groceries. Camera Specifications: Built-in G-Sensor detects impact and protects the recording from overwrites. With Loop Recording, oldest recordings are automatically deleted to make room for new clips. 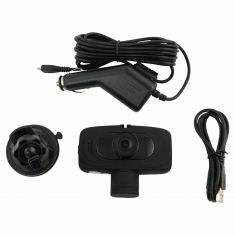 Camera Specifications: GPS Geotagging - Attach the included GPS module and track the locations of where the recording took place. Use the free PC app to view the geotagged clips. Camera Specifications: Magnetic Mount - Simple, hassle free mounting for quick, immediate removal and installation. Camera Specifications: The USB power cable plugs directly into the mount so you will never need to unplug the cable to take off the dashcam. Camera Specifications: Full HD, Impact Detection and Loop Recording - Record the smallest details with crystal clear, full HD 1080p clarity. Wide angle lens captures a much wider, panoramic view of the surroundings. Camera Specifications: Impact Detection and Loop Recording - Built-in G-Sensor detects impact and protects the recording from overwrites. Oldest recordings are automatically deleted to make room for new clips. Specifications: Included in the box ROVI Dashcam, GPS Module, Magnetic Mount, Dual USB Car Charger, USB Power/Data Cable, Quick Start Guide. Specifications: Included in the box ROVI Dashcam, Suction Mount, USB Car Charger, USB Power/Data Cable, 8GM MicroSD Card, Quick Start Guide. 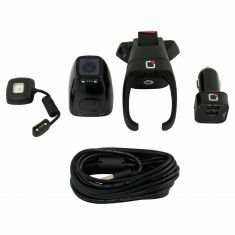 Camera Specifications: Full 1080p HD - View all youve captured on-the-road with the vibrant detail of 1080p HD. Zoom in on license plate numbers, natural scenery, or suspected sasquatch sightings; youve got the power. Camera Specifications: Wide Angle Lens - Relive road trip exploits with a 120 sweeping, roads eye view. Youll catch things youre sure to have missed, especially on the periphery. Camera Specifications: Compact Design - Designed for maximum performance with minimum visual obstruction.